Unless you have lived your entire life under a rock, you will be familiar with the movie franchise Star Wars. Love it or hate it, it has become one of the greatest film series of our time and has an incredibly strong following all over the world with quotes from the film also becoming part of our daily vocabulary. Even if you don’t enjoy the films, you cannot deny the impact that it has had to the movie and television industry as well as the sheer excitement and thrill the saga gives to its fans. This guide will give you an insight into the Star Wars world and the amazing interactive exhibition in London this year. Star Wars is the creation of George Lucas, one of America’s top film directors. His “epic space opera” displays a range of adventures in “a galaxy far, far away” that involves a plethora of characters that are celebrities today such as Luke Skywalker, Princess Leia, Hans Solo, Chewbacca, Darth Vader and, not forgetting, Yoda. The franchise was brought to life with the release of Star Wars Episode IV: A New Hope first in 1977 and then rereleased in 1981; this told of the Rebel Alliance and its attempt to destroy the Death Star which was the Galactic Empire’s space station. The alliance is led by Princess Leia, who is captured, and it is up to farmhand Luke Skywalker, who has found two droids and the plans of the Death Star, to save her. This film introduces the famous villain Darth Vader, androids C3PO and R2-D2 and the Jedi Master Obi-Wan Kenobi as well as the main characters. This film was very well received and grossed over $775 million, making it the third highest grossing film in the world. The second film in the franchise was The Empire Strikes Back which was released in 1980. This film follows on 3 years later from the first film and shows Darth Vader and the Emperor as the leaders of the Galactic Empire. They’re ruthlessly searching for Luke Skywalker and the Rebel Alliance; while the Galactic Empire search and capture Han Solo, Princess Leia and the rest of the Alliance, Luke is studying to become a Jedi Knight under Yoda. The question is, does Luke carry on with his training or does he save his friends? The original reception of this film is mixed, however, as the years have gone by, it has been given the accolade of one of the greatest films of all time. Return of the Jedi came to the screens in 1983 and is the final film in the original trilogy (yes there are many more Star Wars films to come). This follows on with the Emperor building another Death Star to crush the Alliance, however, while the Emperor is focused on construction, the Rebel Alliance launch an attack on the partially built Star to kill the Emperor for the last time while Luke Skywalker tries to bring Darth Vader, who is his father, over from the Dark side. This film has some very famous scenes in it including Princess Leia in THAT outfit with Jabba the Hut. Over the next 2 decades, there were more films that came out of the woodwork such as the prequel trilogy including Star Wars Episode I: The Phantom Menace and, most recently, a sequel trilogy which includes the newly released Star Wars: The Force Awakens. Amazingly, all seven films were nominated, with some winning, Academy Awards and the film franchise has racked up an astounding $6.46 billion. In addition, there were animated films made, such as Star Wars: The Clone Wars in 2008, and a whole range of media including books, computer and video games, television series, toys, and comic books. This bumped up the entire Star Wars franchise, including all merchandising, to a staggering $30.7 billion. The Star Wars saga has had a massive impact with Star Wars references being used daily; phrases like “I am your father” and “May the Force be with you” have become popular sayings within the modern-day culture. The first Star Wars film in 1977 has been said to have helped kick start the science fiction boom of the late 1970s and early 1980s, making science fiction films a successful genre. Thanks to its growing fan base, Star Wars even has its very own celebration day; May 4th is the day where every Star Wars fan from all over the world celebrate one of the greatest franchises of the last century. From 18th November 2016 until 3rd September 2017, the O2 in London, situated near the M by Montcalm Shoreditch London Tech City Hotel, is hosting an Interactive exhibition showcasing over 200 models, props, costumes and artworks form the original trilogy. Any Star Wars fan would be enthralled with seeing costume pieces worn by R2-D2, Darth Vader and Princess Leia which includes that famous gold bikini and there is a whole range of costumes from the most recent firm Star Wars: The Force Awakens such as a range of Stormtrooper uniforms. The exhibition walks visitors through the development of the characters and shows the concept and artwork behind set and character design with pieces from how characters such as Chewbacca and Darth Vader being displayed. 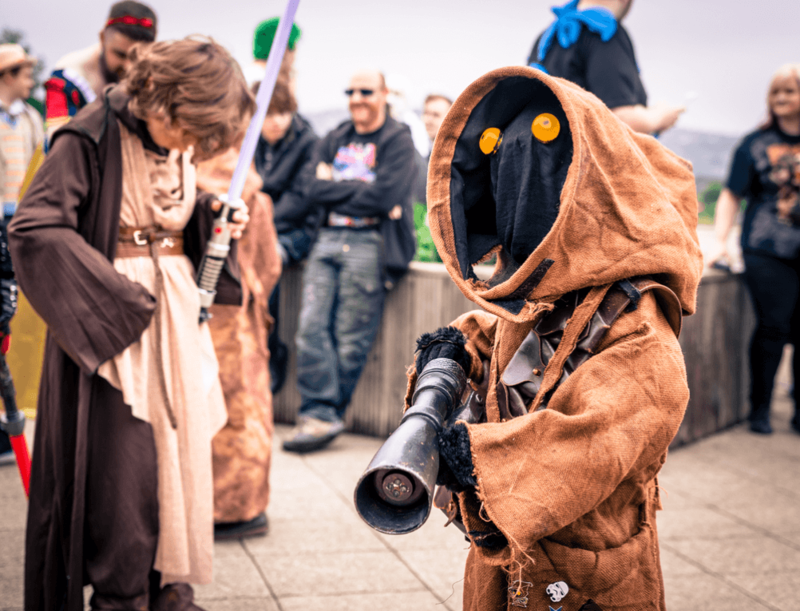 There is a lot of exciting hands-on activities to get involved with such as creating your own Star Wars avatar and playing a range of games to decide if the Force is strong with you and whether you are ultimately destined for the Dark side. 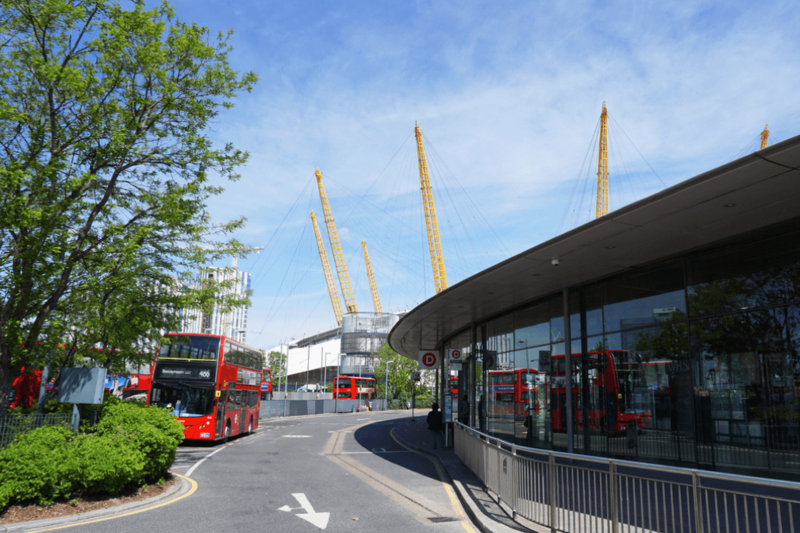 Tickets are available for the interactive exhibition from the O2 website and there is an array of hotels near Shoreditch to choose from to allow you to be within arm’s reach of your favorite franchise.